DTT provides better coverage than DAB. SBS is a hybrid-funded Australian public broadcasting radio, online, and television network. SBS operates four TV channels and eight radio networks. SBS Radio broadcasts in 68 languages and is available on all platforms including podcasting. SBS Radio has now launched two new digital radio stations – SBS PopAsia, SBS PopDesi and a refresh of SBS Radio 3 on the digital television network (DVB-T2). January 2020 is the start of a new ten-year license period for the commercial radio in Finland. There will be seven national FM licenses, with a coverage of at least 75 percent of the population. In addition, eleven partially national radio networks (at least 40% in household coverage) are announced as well as a number of regional and local states. Among other things, there is room for AM and also eight stations in Helsinki. The WorldDAB organisation reports that almost 12 million DAB receivers were sold in 2017 in Europe and Asia Pacific, a new record for yearly sales. Almost half (5.9m) of the sales were for automotive devices, with key markets showing a significant increase in the number of cars sold with DAB fitted as standard. The transition from FM is considered to be the problem. Meanwhile, all good news for local FM radio. During 2017 national public and commercial radio made a complete with-over from FM to DAB+. Now, media agencies' investments in radio advertising show that the two commercial networks Radio Norway and P4 in four months have backed from NOK 144.5 million to a turnover of 133.2 million. By April they have backed 7.8 %, says the CEO of the Media Agency, Merete Mandt Larsen to ad business magazine Kampanje. Just for April development is even worse. Radio ad investments was down by 17%. 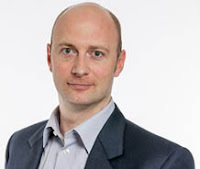 Speaking at the Digital TV Group Summit in London, the BBC’s chief technology and product officer, Matthew Postgate, said that the BBC’s current 11-year charter period will be “one of transition” and said that change is already underway. While the BBC will continue to cater for both people who watch and listen to traditional linear channels and those who use the web as their premium consumption method, Postgate said that the question is not when, but how we will make the transition to being an internet broadcaster. At the Norwegian electronics industry's Digitalforum recently, Gunnar Garfors from the NRK claimed that the public service organisation EBU is discussing using the 5G in FM band. The EBU is discussing using FM for 5G. There is the possibility of a pilot in Norway, said Garfors. There are areas in Norway where there is nothing on FM and tests can be done, Garfors explained. However, this idea was immediately rejected by many experts. Today, on our request, EBU has confirmed that the EBU has no such plans at all. What the future of the radio can look like, shows a view of the United States. Radio usage has declined steadily over the traditional FM and medium wave distribution channels, and internet radio listening has been steadily rising. In 2017, radio Internet use for the first time overtook the use of radio over the traditional channels and is clearly ahead of the clock at 879 minutes per week. Terrestrial radio is only 780 minutes.